Today, airlines convert just 7.5% of passengers into onboard sales, not to mention the missed opportunity of selling across the entire day of travel. While this may be considered good enough — it is, after all, ancillary revenue — there is more at stake than just sales. The failure to “consumerise” passenger experience is ultimately a failure to convert the goldmine of passenger data into frontline business intelligence. That data is the key to meeting real and specific customer needs and interests. 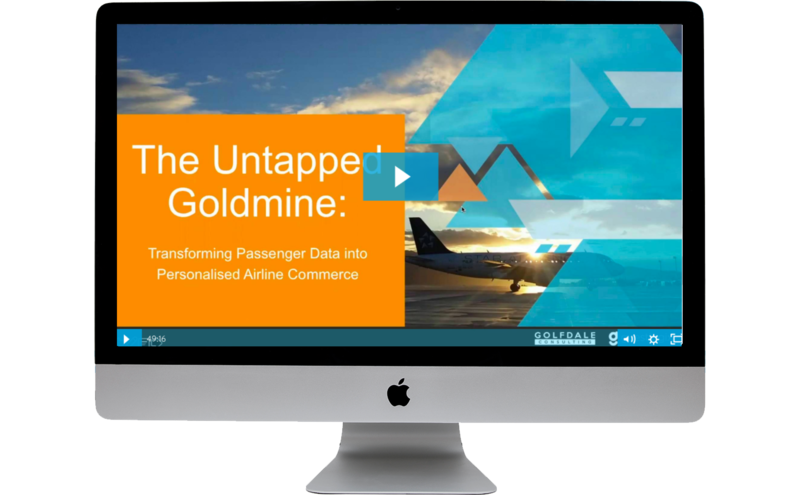 Without consumerising passenger data, airlines will never significantly improve ancillary sales and revenue. What frontline technologies will airlines need to translate passenger data into business intelligence that will power the kind of personalised selling that consumers now expect from companies such as Uber, Starbucks and Amazon? How do you engage with and empower passengers for co-created experiences, services and, ultimately, frontline merchandising that will increase revenue, satisfaction and loyalty? How can airlines use mobile devices to create direct channel access to passengers before, during and after the flight, not just to increase onboard sales but also to develop any other ancillary revenue opportunities they can imagine? Where are the opportunities throughout the day of travel to boost engagement and, crucially, data flow? Retail analytics is uncharted territory in the airline industry, but it is the most important factor for airline revenue going forward.